How Do I Generate Final Documents inside zipForm®? Once your client has accepted your invitation to complete their forms using Glide, they will provide answers to all required questions and submit their answer to you for review. 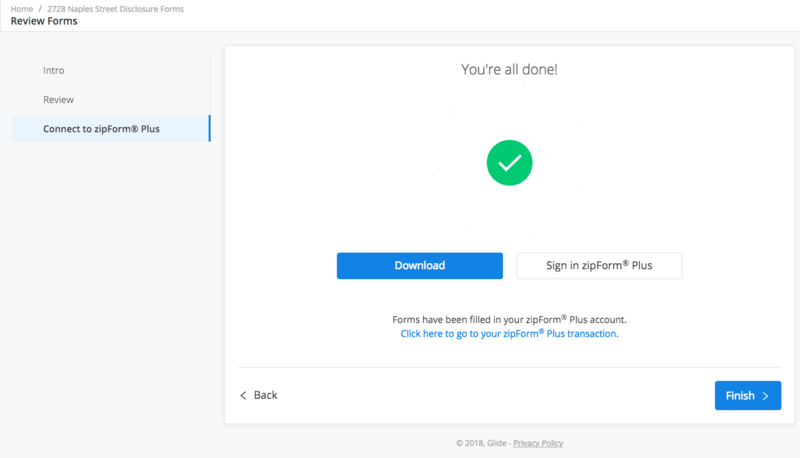 You'll be notified by email that all forms are completed and can then review and generate final documents for signature directly inside your zipForm account. To learn more about reviewing seller responses and requesting revisions from your seller, click here. If you have trouble accessing zipForm, you can always use the "Forgot your password?" 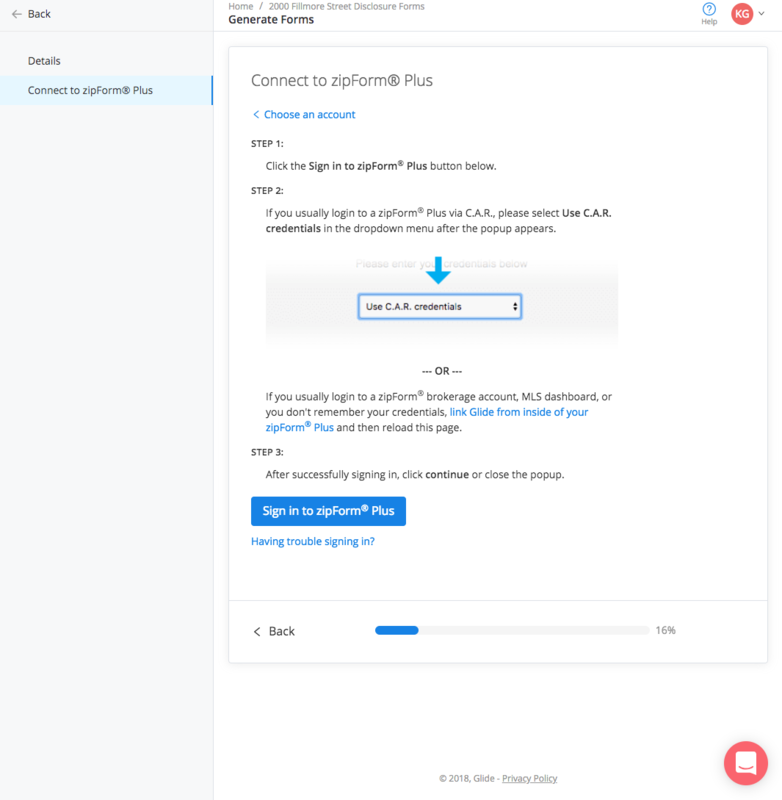 link to find your saved credentials or connect from within zipForm by following these instructions. Your credentials will be saved so you don't need to enter them every time you generate a new form. Once you've linked your account, you're ready to generate completed documents for signature. 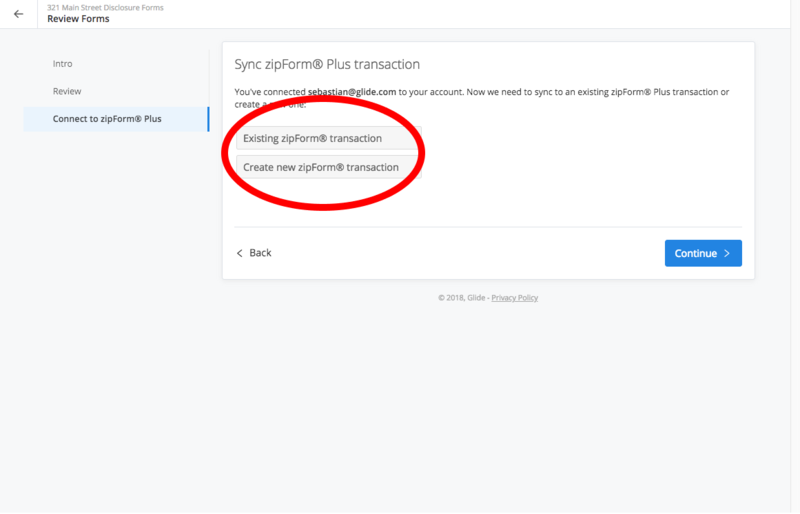 You will have the option to have these documents appear inside a zipForm transaction you've already created, or you can create a new zipForm transaction. 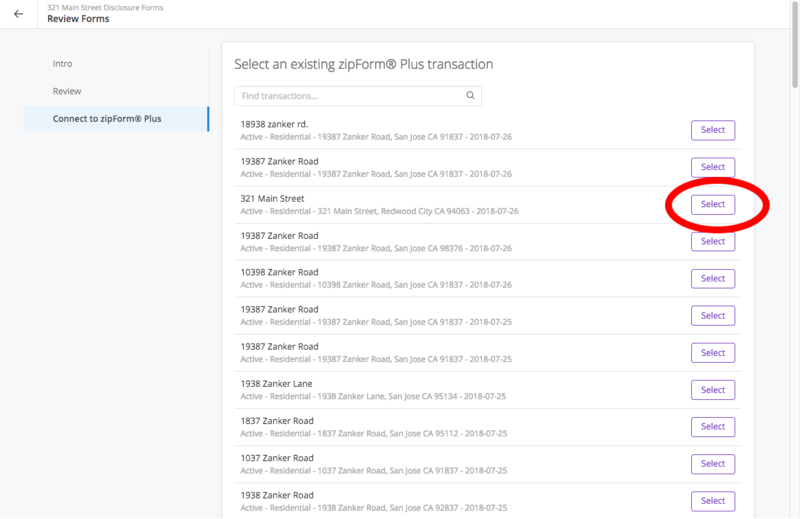 After you've identified which transaction within zipForm you'd like to associate these forms with, you'll have the opportunity to download completed forms or send them for signature. Documents will show up inside your Glide account, within zipForm and will also be emailed to you as an attachment. Information that already exists in your zipForm coversheet will NOT be overwritten by information from Glide. Agent and brokerage information will be added based on the details provided when sending out forms. 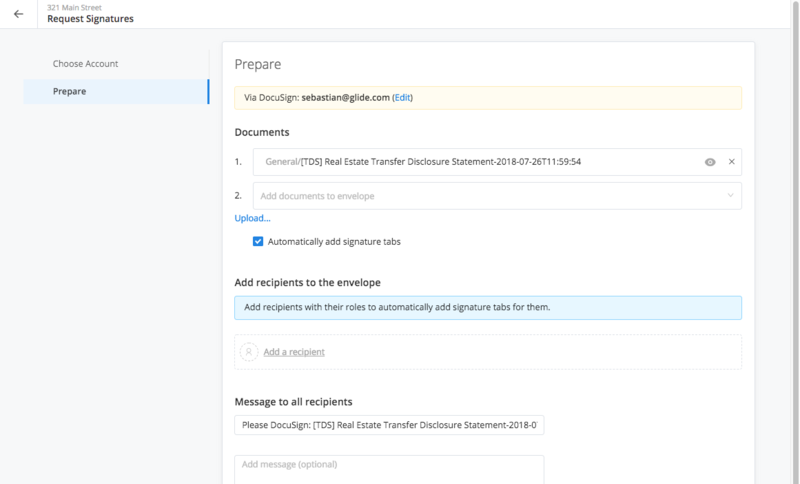 Glide offers a built-in DocuSign integration you can use to quickly send completed forms for signature with fields auto-placed. Just hit the "Sign" button. You can also quickly open your zipForm® transaction and send forms for signature using Digital Ink.